Do you want to grow OG Kush cannabis? This aromatic Kush cannabis strain originates from Northern California and she is famous because of her strong flavor and powerful effect. The OG Kush cannabis is an extremely strong cannabis strain which is very popular among experienced smokers. OG Kush is a unique strain with characteristics that cannot be compared with other marijuana varieties. These feminised OG Kush cannabis seeds are extremely popular and are sold worldwide. Below you will find our OG Kush seeds from breeders which you could order at Cannabisseedsshop.com. Do you want to grow a physically and mentally strong cannabis? Then make a choice between OG Kush cannabis strains which are shown below. About the origin of the OG Kush opinions are divided. Therefore we do not know what the actual genetics are. Some say that OG Kush is a mix between ChemDawg, Lemon Thai and Pakistani Kush. However, there are also stories that OG Kush is from a special cutting of the ChemDawg from the early nineties. Even about the meaning of the name OG there are different stories. Some people say OG means Original Gangster. But most of the people say the name means Ocean Grown, because she is founded in Northern California. There is no doubt about the popularity of these feminised cannabis seeds. Famous Hollywood movie stars, rappers and medical cannabis users: OG Kush is loved by many. The most dominant feature of a OG Kush strain is her strong, special, very clammy smell and light citrus flavor. This reminds you of fuel or a strong cleaning solution. The OG Kush also has a strong and very clammy flavor with a long-lasting aftertaste. The OG Kush is an extremely strong marijuana race which belongs to the favorites of experienced smokers. The effect of smoking this cannabis is both physically and mentally strong. Although she contains mainly Indica genetics, she has a Sativa effect. This strong cannabis strain has a very complex taste. A OG Kush cannabis plant blooms 8 weeks and generates an average yield of 60 to 80 grams per plant which means the yield could be up to 600 grams per square meter. OG Kush plants are known because they stretch slightly during the growth, but they will quickly fill up during the flowering period. In general, they become between the 90 and 160 cm high. Her buds are large and fat and the lime-green clusters are covered with a thick layer of resin. There are many reasons why OG Kush has become so popular. On Cannabisseedsshop.com, the supply of this cannabis strain is large. Pick your seeds from your favorite seedbank and try this amazing strain yourself. This very popular Kush strain is suitable for cultivation on soil, hydro and coconut. You could also choose for a SOG or SCROG grow if you want to grow this cannabis strain. Berry OG Kush from 710 Genetics is a feminised cannabis strain that contains indica dominant genetics. 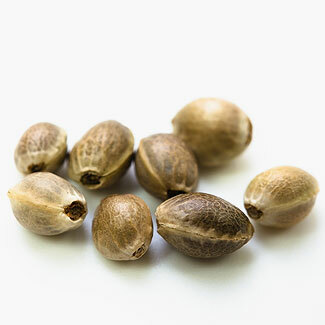 This cannabis seeds are suitable for indoor and outdoor grow. The effect of smoking this weed is an euphoric high! Big Kush from Dinafem Seeds is a feminised cannabis strain which contains both Sativa and Indica genetics. These cannabis plants are easy to grow and produce a high yield of cannabis in a short period of time! CBD OG Kush from our Private Label are feminised cannabis seeds which have a high content of CBD and a low content of THC. You could use this Medicine against complaints as depressions. This cannabis has a delicious relaxed effect. Larry OG Kush from The Cali Connection are feminised cannabis seeds which have a short flowering period and they are suitable for an indoor and outdoor grow. This cannabis strain has a powerful effect and therefore you will be passive for a couple of hours. Lemon OG Kush from DNA Genetics is originated by crossing two good cannabis strains which are suitable for an indoor grow. This feminized cannabis strain is used to grow medicinal cannabis. Growing weed out of these seeds delivers you a high yield and let you experience the delicious smell of lemon. Medical OG Kush van Kera Seeds is een gemakkelijk te kweken feminised wietsoort. Ze heeft een hoog CBD gehalte en een laag THC gehalte en het effect is een krachtig ontspannen gevoel. OG Kush van Kera Seeds zijn feminised wietzaadjes die gemakkelijk te kweken zijn. Deze indica dominante soort heeft een korte bloeitijd. Het effect is voelbaar geestelijk, overlopend in een lichamelijk ontspannen gevoel. OG Kush van CBD Crew is een feminised wietsoort met een hoog CBD gehalte. Deze makkelijk te kweken wietsoort heeft voornamelijk indica genetica. Ze heeft een mild effect na het roken en wordt ook als medicinale cannabis gebruikt. OG Kush from Medicann Seeds is a very well-known cannabis strain that is worldwide often grown. 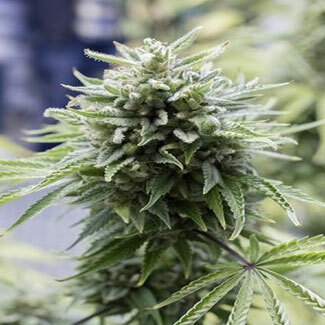 This mainly Sativa cannabis plant has tight buds and is suitable for an indoor and an outdoor grow. OG Kush from Reserva Privada is a delicious and one of the most well-known Kush strains. These cannabis seeds are the most suitable for an indoor grow. The weedplant will create not too large, but hard and compact buds. OG Kush from Royal Queen Seeds is a powerful cannabis strain which is very popular due her special flavor and effect. This cannabis is not recommended for the starting smoker due het extremely powerful effect. This cannabis strain is also used as medicinal cannabis. OG Kush from Our private label is a delicious kush marijuana originated from a beautiful crossing. These cannabis plants are suitable for a cultivation indoors and outdoors in full ground this plant can become a huge bush. OG Kush from Humboldt are feminised cannabis seeds which have a nice balance between Indica and Sativa genetics. This cannabis strain has a high content of THC and is suitable for an indoor and outdoor grow. The effect of smoking this cannabis is a pleasant high with a physical relaxed feeling. OG Kush Dinafem is a feminised weed strain with a very high THC content. These cannabis plants contain mostly indica genetics and are quickly harvest ripe. The effect of smoking this weed is a long and lasting feeling in the head and body. OG Kush Auto van Dr Krippling is een autoflower wietsoort die zeer populair is. Geschikt voor een binnenkweek en buitenkweek. Deze wiet heeft een hoog THC gehalte. OG Kush Auto van Kera Seeds zijn feminised wietzaadjes die makkelijk te kweken zijn. Deze wietplant geeft een hoge opbrengst wiet die een krachtig effect heeft. Niet geschikt voor de onervaren roker! OG Kush Auto from Nirvana is an autoflower cannabis plant which has a delicious and rich taste. You could grow this strain inside and outside and she is originated by crossing world famous strains. OG Kush Auto is a feminised autoflower version of the very popular OG Kush. This autoflower strain is easy to cultivate and provides you good weed that has a delightfully relieved effect, ideal to spend a night on the couch. OG Kush Auto from Humboldt are autoflower cannabis seeds that are suitable for an indoor and outdoor grow. This cannabis plant grows with an open structure and produces nice full buds. The effect of smoking this cannabis is a mental high that walks into a powerful very physical relaxed feeling. OG Kush Auto CBD van Dinafem is een autoflower wietsoort die voornamelijk sativa genetica bevat. Deze wietplant zal je een hoge opbrengst wiet opleveren waarvan het effect een ontspannen en euforisch gevoel is. OG Kush CBD van Medicann Seeds is een medicinale wiet met een juiste balans tussen de gehaltes THC en CBD. Hierdoor is deze wietsoort voor zeer veel medicinale gebruikers geschikt. Van een afkoelend effect tijdens intense boosheid tot aan een uplifting effect bij hevige pijn. OG Kush CBD from PowerStrains are feminised cannabis seeds which have a high content of CBD and a low content of THC. You could use this Medicine against complaints as depressions. This cannabis has a delicious relaxed effect. OG Kush CBD van Dinafem zijn feminised wietzaadjes die buiten uit kunnen groeien tot enorme wietplanten. De wiet is CBD rijk en heeft een langdurig lichamelijk en geestelijk effect. Raskal’s OG Kush from The Cali Connection are cannabis seeds which grow into cannabis plants that have a dense structure. She produces a good yield of cannabis which contains a nice balance between Sativa and Indica genetics. Rollex OG Kush from Devil's Harvest is a cannabis plant which consists mainly indica genetics. Unfortunately, there is currently not much known about this indica marijuana seeds variety. Sapphire OG from Humboldt are feminised cannabis seeds that are suitable for an indoor grow, an outdoor grow and a SCROG grow. This cannabis strain has a delicious taste during the smoke. Because of the high content of THC, this strain takes care of a powerful high. SFV OG Kush van Medicann Seeds is een medicinale wietsoort met een uitgebreid smaak- en geurprofiel. Gebruikers van deze wiet zullen vooral voordelen ervaren wanneer er bijvoorbeeld klachten zijn als pijn en stress. Deze wietsoort werkt daarnaast tegen een groot aantal andere medische klachten. SFV OG Kush IBL from The Cali Connection are feminised cannabis seeds which become stable cannabis plants. This cannabis strain contains mainly Indica genetics and will produce a high yield.